The Coalition to Salute America's Heroes provides emergency financial aid and other assistance to troops who have been severely wounded in Iraq or Afghanistan. The Coalition focuses on helping servicemen and women with the most debilitating injuries, such as those who have been severely burned, blinded, paralyzed or brain-damaged. Because so many of our wounded heroes will need expensive, long-term care, we're also trying to educate the public - and our elected officials - about the importance of getting the government to fulfill its obligations to our wounded troops and their families. The Emergency Assistance Program we offer gives financial help for life’s daily and unexpected needs. A wounded service member separated from family for medical reasons still has living expenses. Separation can last months — two households must survive on one salary, especially if the family lives in another state. Delayed military pay, which happens at times, and reduced pay, can mean no electricity for the home. Sometimes it means no food for the baby. We also offer assistance with airfare to bring a family member to the wounded warrior. A service member might also need to travel for a family funeral. The Helping Our Heroes Foundation provides a way for donated funds and services to directly reach our injured military and a way for concerned Americans to volunteer to actively support our armed forces. The role of the foundation is to provide patient advocates, identify and fund educational opportunities for the soldier, coordinate specialty counseling (financial assistance, career, housing, etc. ), and assist with emergency funding needs as deemed appropriate. The mission of Hope for the Warriors™ is to enhance quality of life for US Service Members and their families nationwide who have been adversely affected by injuries or death in the line of duty. Hope for the Warriors™ actively seeks to ensure that the sacrifices of wounded and fallen warriors and their families are never forgotten nor their needs unmet, particularly with regard to the short and long-term care of the severely injured. To accomplish our mission, we have designed special programs that allow and encourage community involvement. We welcome you to read through our website to learn more about how we help and how you can too. Immediate Needs Grants - Hope For The Warriors™ is prepared to help provide financial assistance once a notice of very severe injury is made. Travel is expensive and sometimes financially prohibitive, especially overseas. Funds are available so that a spouse or parent will be able to be at their loved one's bedside. The Michigan National Guard Family Fund was created to assist Air and Army National Guard families who experience financial difficulties with temporary emergency financial assistance, and to fund programs and training to maintain and improve the quality of life of our Michigan National Guard families. What constitutes a need? Emergency loss of income through activation for military duty, inability to maintain employment due to injury or sudden illness, or job loss; unexpected medical expenses; pay problems; or the accumulation of legitimate bills (e.g. rent, mortgage, electric, oil, gas, etc.). Inability to pay for basic needs: food, shelter, utilities, clothing, medical bills, and transportation due to unforeseen circumstances. Applications are required to be submitted with the necessary documentation. When service members are actively serving and have legal dependents or become wounded, ill or injured, they deserve the peace of mind that comes with knowing their family won't have to weather an urgent financial crisis alone. They can count on Operation Homefront to help. The Semper Fi Fund provides immediate financial assistance and lifetime support to post-9/11 wounded, critically ill and injured members of all branches of the U.S. Armed Forces, and their families, ensuring that they have the resources they need during their recovery and transition back to their communities. TAMCO Foundation is a non-profit, non-partisan charity which provides direct support to military veterans from Florida who have been severely wounded and disabled while serving in Iraq and Afghanistan. Emergency financial assistance helps resolve immediate, short-term financial needs for you and your family, usually during hospitalization or rehabilitation. Examples would include assistance with car payments, rent, utilities and child care. The Foundation receives referrals from the command, groups working with soldiers and their families, military relief societies and associations regarding wounded service members who are experiencing financial crises. The Foundation reviews these requests to insure they are truly “unmet needs” which cannot be supported by government agencies. Then we take action. Disabled American Veterans of the War on Terror must struggle every day to overcome life-changing sacrifices such as the loss of a limb, significant burns, and the reality of being in a wheel chair. The Coalition to Salute America's Heroes was created to provide a way for individuals, corporations and others to support our troops by helping severely wounded and disabled Operation Enduring Freedom and Operation Iraqi Freedom veterans and their families rebuild their lives. The mission of The Coalition to Salute America's Heroes is to help the people who have given so much on our behalf overcome these obstacles and resume a productive and fulfilling life through programs targeted to their specific needs. One of their programs: Emergency Financial Aid - Direct financial aid to disabled American veterans and their families in crisis. Provides financial aid and assistance to our wounded warriors, as well as facilitates Remodels, Bar-b-Ques/Holiday Parties/Social Events. AMVETS Healing Heroes is a program providing assistance to the families of wounded warriors as they recuperate. One hundred percent of all donations, every penny, goes toward grants to help families pay for travel, lodging, child care and other costs necessary to allow families to be at the bedsides of their wounded warriors — right where they belong. To date, we have provided over $1.3 million to service members and their families as they heal. Requests for assistance are facilitated by DoD Federal Recovery Coordinators and/or VA Polytrauma Case Workers. AZ Heroes to Hometowns is designed to welcome home Service Members who, because of injuries sustained, can no longer serve in the military. Arizona's Heroes to Hometowns is not a single organization but a coalition of community resources. The Bob Woodruff Foundation (BWF) IVF Fund complements the efforts of multiple veteran-serving organizations that successfully advocated for legislation allowing the Department of Veteran Affairs to provide in-vitro fertilization (IVF) treatment to veterans who have lost the ability to conceive due to injuries incurred during service to our nation. Since it will take time for the legislation to take effect, BWF will offer financial assistance to affected veterans to cover unreimbursed costs up to $5,000 associated with IVF treatments. The IVF Fund, supported by grants from Merck & Co., Ferring Pharmaceuticals, and EMD Serono, complements the “Serving Our Veterans” program established by the American Society for Reproductive Medicine (ASRM) and the Society for Assisted Reproductive Technology (SART). Brave-Aid, Inc. is a wounded veterans assistance fund that was created as a non-conventional vehicle whose goal is to give financial, emotional, and when requested, spiritual assistance to the veterans who sacrificed so much for our freedom. Brave-Aid, Inc. also extends its support to the families of those veterans who gave their lives for our country. Our mission is not only to provide assistance for our heroes, but also provide an ethical, honorable and honest employment opportunity by procuring assistance for our veterans. The CFSRF was founded in order to provide support to surviving US military children and spouses that have lost a loved one in the Iraq and Afghanistan wars or whose service member has sustained a serious disability. Our objectives are to help US military children and spouses with college grants as well as provide financial assistance to those families in need of help with housing, utilities, food and clothing. Often, when a loss occurs in these families, what was a two person income becomes one. The financial hardships placed on these families are very difficult to deal with. Their lives are devastated and forever changed. We are determined to help make the last wishes of those lost to the casualty of war possible by assisting their families with their needs. Chive Charities is dedicated to championing the underdogs. Among the causes we focus on are: individuals with rare medical conditions, disabled veterans and first responders in need of quality of life enhancements, underfunded special needs education initiatives, and organizations that provide emergency assistance/disaster relief. Defenders of Freedom offers emergency financial assistance to wounded and transitioning veterans, resume preparation, and employment searches. Additionally, they have veteran initiated programs for peer mentoring. They continue to send care packages upon request from deployed Troops. Faces Of Valor USA is a non-profit organization with a mission to raise money for scholarships and financial aid for men and women in the military, fire, police and EMS services who have been injured or killed in the line of duty as they have protected us and provided safety and security for our American way of life. Our mission is to raise funds for Injured Marines and their families. Our severely wounded Marines continue to fight battles here at home with their struggle to adjust to their injuries. Our mission is to provide financial support to injured Marines while they continue their long road to recovery. As stated in our Bi-laws, Family & Friends For Freedom Fund, Inc is organized exclusively for charitable purposes to provide financial aid to injured marines and their families, as well as post traumatic stress disorder cases from war, and all branches of the U.S Military as the need arises. Welcome Home, Hero Program aids in providing assistance to injured military personnel and their immediate families for basic needs, including but not limited to: food and clothing. Many veterans struggle with the transition from military to civilian life. Welcome Home, Hero helps to aid this transition by providing assistance to military families of wounded heroes to meet their basic needs. Heroes to Hometowns is a transition program for severely injured service members returning home from OEF/OIF. Heroes to Hometowns establishes a support network and coordinates resources for those servicemembers. Last year The American Legion's Heroes to Hometowns Program assisted over 1,100 veterans. If you are a servicemember, veteran, or family member of a servicemember or veteran who has been severely injured, please fill out the Heroes to Hometowns assistance request form. (If you are not severely injured and are in need of general transition assistance or support, you may also fill out the request form or contact your American Legion department service officer (DSO) or your local American Legion post ). Impact A Hero provides immediate and ongoing emotional and financial support for our severely-wounded post-9/11 combat veterans and their families. Under the official non-profit entity Impact Player Partners, Impact A Hero gives individuals and corporations a simple mechanism for providing maximum impact to those who have sacrificed for our freedoms. Lead the Way Fund, Inc. is a non-profit organization established to raise funds in support of disabled U.S. Army Rangers and the families of Rangers who have died, have been injured or are currently serving in harm’s way around the world. Lead the Way Fund, Inc. will provide spouses and children of deceased, disabled or active duty Rangers with assistance for health and wellness programs and other services determined to be vital to the family’s well-being. The Michigan Bikers Helping Veterans (MBHV) is a registered non profit charity that receives donated funds to distribute in Michigan to provide assistance to deserving families of the fallen and/or wounded service personnel, or veterans in critical financial need. Providing financial and morale aid to our current Arizona active duty military, their families and wounded warriors regardless of overseas deployment status. The Bryan McDonough Military Heroes Foundation is a nonprofit organization supporting Minnesota servicemen and women returning from deployments around the world. The Bryan McDonough Military Heroes Foundation was established to support soldiers adjusting to life with the physical and psychological wounds of war. Moonlight Fund actively raises money throughout the year in an effort to support those with financial needs (such as gaps in medical care, rehabilitation services, burial expenses, housing, and transportation needs). Additional services include child care assistance, tuition expenses, and referrals to third party support services. The Fund is open to any request. We do ask that all requests be made in writing by the attending physician, case worker, or qualified rehabilitation or educational facility. Our organization is dedicated to direct action. We raise funds for those wounded veterans and military families experiencing a financial crisis, but we also go further by offering a way to connect businesses and professionals from around the United States, looking to provide a personal service or fun activity, with wounded veterans and the families of the fallen. Our mission is to assist the injured and families of the those who have been injured or killed as a part of the Global War on Terrorism, whether domestic or abroad, military or civilian, with financial grants for transitioning to their new circumstances and achieving financial self-sufficiency. The mission of Operation First Response, Inc (OFR) is to support our nation's wounded Heroes and their families with personal and financial needs. The Directors of Operation Forever Free are involved in land development and the home-building industry. It has been a long time desire of the Directors to give back to the community. Collectively, a decision was made to form an organization that would express gratitude by financially assisting service men and women who have been wounded. After all, the sacrifices of these hometown heroes protect the very freedoms we enjoy every day. Operation Forever Free will review the needs of injured service men and women, as they are brought to the attention of the organization. Operation Forever Free will then evaluate and assess the organization's ability to meet such needs. More often, these men and women have endured life-changing injuries; which require modifications and adaptations in their living environments. The goal is to improve the quality of life through various means. These include assistance with transportation needs, modifying/re-modeling homes, and in some cases, providing a new home at no cost to these families. 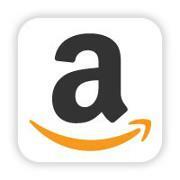 The organization's efforts include these items, but are not limited to these items. Each situation will be reviewed individually, on a case by case basis. Operation Helping Hand of Tampa (Op HH) , a project of the Tampa Chapter of Military Officers Association of America (MOAA), has been organized to help the families of the wounded and injured during their stay in Tampa Bay. Operation Once in a Lifetime’s mission is to make the dreams of soldiers and their families come true by providing free financial and moral support. Operation Once in a Lifetime was created by a soldier to help other soldiers; a soldier knows what a soldier needs and a soldier knows what a soldier does not need. A soldier does not need to worry about providing beds for his kids, worrying if his electricity will still be on when he goes home or if his house will be foreclosed on when serving his/her country. A soldier needs a program that will provide free financial assistance regardless of his rank, race, branch of service, physical condition or his deployment status. A soldier needs a program that can help make a life altering contribution when he is in his/her greatest need; Operation Once in a Lifetime is that program. Operation One Voice is a program designed by police officers, firefighters and community leaders to raise funds to help support the immediate needs of children and families of wounded and fallen Special Operations Forces. Special Operation Forces consist of US Army Special Operations Command (USASCOC); Naval Special Warfare Command (NSWC); Air Force Special Operations Command (AFSCOC); Marine Force Special Operations Command (MARSOC); and Joint Special Operation Command (JSOC). Operation Second Chance is a non-profit organization that provides financial support and morale building opportunities for wounded, injured, and ill military members and their families. We are based out of MD near Walter Reed National Military Medical Center but we serve a national population as well. We are patriotic citizens committed to serving our wounded, injured and ill combat veterans. We support veterans and their families while they recover in military hospitals, by building relationships and identifying and supporting immediate needs and interests. We are dedicated to promoting public awareness of the many sacrifices made by our Armed Forces. Pennsylvania Wounded Warriors, Inc. offers Pennsylvania Wounded Warriors, their families, or Pennsylvania veterans with medical emergencies in their families financial assistance. We do not pay credit card bills, car payments, or direct payments to wounded warriors except in the most unusual circumstances. We do help wounded warriors with home repairs, utility payments, short term rent or mortgage payments, medical bills and medical equipment not covered under current government programs and educational programs to prepare for college under the GI Bill. While our primary focus is on Pennsylvania Wounded Warriors, we also visit military hospitals and outpatient facilities to thank all wounded warriors for their service. Tens of thousands of U.S. veterans of the wars in Iraq and Afghanistan are now struggling with life-altering, service-connected injuries and mental health problems. And their adjustment to civilian life is made even more difficult when they must wait six months or more to receive merited disability income and GI Bill benefits from the U.S. government. Through Rebuild Hope individual Americans help these veterans and their families overcome short term financial problems and build healthier and more stable lives. Rebuild Hope provides monthly grants, helps veterans develop realistic budgets, and offers complementary counseling and referral services. Donors can view veteran profiles on the Rebuild Hope website and easily make donor-advised gifts, knowing that 100% will be distributed to deserving families. Red Circle Foundation donations provide gap funding in support of Special Operations wounded warriors, children and families of the fallen. The transition to civilian life is often difficult, especially where there is injury. Salute delivers short term financial assistance to bridge the temporary income gaps and meet the basic needs of post 9/11 veterans. The Special Operations Warrior Foundation provides immediate financial assistance to severely wounded Special Operators to allow their families to be with them in the hospital and to offset expenses associated with their injuries. SOWF delivers a $5,000 check to the wounded Special Operator’s bedside immediately following arrival in a U.S. military hospital. We also provide an iPad so that the Special Operator can keep in touch with their service members, friends, and family. Special Compensation for Assistance with Activities of Daily Living (SCAADL) was authorized by the Fiscal Year 2010 National Defense Authorization Act. This special monthly compensation is for servicemembers who incur a permanent catastrophic injury or illness. SCAADL helps offset the loss of income by a primary caregiver who provides non-medical care, support, and assistance for the servicemember. Read more in the WTC SCAADL fact sheet. Embracing Florida's Wounded Heroes (EFWH) programs are there to fill the need when other agencies could not or would not. Whether it is allowing families to be united during the holiday season, or sponsoring the son of a wounded hero to attend a sports camp, EFWH program touches every area of a wounded Soldier’s life. The mission of the Fallen and Wounded Soldiers Fund™ (FWSF) is to support Michigan-based soldiers who serve and protect our country. We are a non-profit, non-partisan 501(c) (3) organization. We are honored to help injured soldiers pay their living expenses, and provide assistance to the families of the fallen. The Independence Fund helps provide injured troops with the tools, therapies and guidance that they might not otherwise receive. Independence Fund has distributed more than $20M in grants and services to qualifying veterans including track chairs, custom cycles, and retreats for the veteran family. The Fund also provides Hyperbaric Oxygen Treatment (HBOT) for injured veterans as part of its mission as well as group retreats and peer counseling programs. In addition to the devastation faced when the news of a wounded loved one travels home, are the burdens of financial obligation. There is a significant rise in the suicide rate of our returning veterans, in many cases the veterans’ inability to care for his/her family in turn causing financial ruin is the final straw. This is not only a problem that affects the veterans and their families but also ultimately affects the communities the veterans are returning to. Without the means of staying financially stable during their VA process they will not be able to become productive members of their communities. This program’s main purpose is to alleviate the financial difficulties facing these families. We serve all branches of our nation’s Wounded Warriors and their families with personal and financial needs. Services are provided from the onset of injury or illness, throughout their recovery period and along their journey from military life to the civilian world. Financial aid varies as each case is based on individual needs ranging from: rent, utilities, vehicle payments, groceries, clothing, travel expenses to and from major medical facilities. The Quality of Life Program ensures that the basic needs of the family are met until they are able to provide for themselves. USA Cares assists with critical needs such as the overdue utility bills, auto payments, insurance, auto repairs and food. The continued ability to meet the needs of military families during temporary financial strains is fundamental to our mission. Housing Assistance Program - USA Cares has saved hundreds of privately owned military family homes from foreclosure. The program offers budgetary counseling and negotiations with the mortgage holder to bring the account current. Additionally, USA Cares offers similar assistance to those military families facing eviction from rental properties. Together, these efforts have spared thousands of children from the potential trauma of being force to leave their home. The Combat Injured Program recognizes the depth of financial strain caused from being visibly or "invisibly" wounded (such as Traumatic Brain Injury, TBI or Post Traumatic Stress Disorder, PTSD). Often times these service members and their families face additional hardships while recovering from wounds received in combat. The mission of the Wounded Warrior Pay Support Team is to provide accurate, real-time financial support to service members who are medically evacuated as a result of wounds, disease, or injury incurred while serving in a combat zone. Additionally, provide the critical human dimension of world class customer service to Wounded Warriors. Depending on a service member's personal situation, several entitlements may be starting, changing, or stopped during transition between the deployment and medical treatment. This Web page is to be used as a helpful resource to better understand these changing entitlements, for your convenience, we have provided a WW Publication link which contains all Wounded Warrior publications. 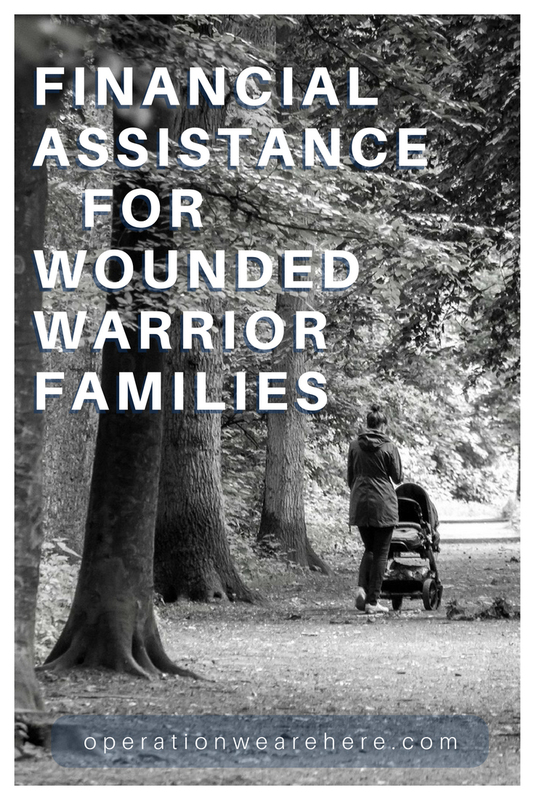 These publications were produced by the Wounded Warrior Pay Support Team at the Defense Finance and Accounting Service Indianapolis Center for the Wounded Warriors and their families. Children of Wounded Warriors face similar financial difficulties along with the challenges of learning to adapt to the physical, mental, and emotional changes in a loved one. Our Military Kids provides grants to children of ALL Wounded Warriors (Guard, Reserve, and Active Duty) for sports, fine arts, camps, and academic tutoring programs. Such activities help nurture and sustain the children during a parent’s lengthy recovery and/or rehabilitation. Currently The General's Kids is raising funds to be able to support things that will help bring some of the normal childhood experiences to wounded warrior kids. If your family moved to a new area and your child would like to participate in local activities like sports, music and dance lessons, etc…we would want to help cover the costs. This will always depend on funds available. Copyright 2008 - 2018 Benita Koeman, Operation We Are Here. All rights reserved. Operation We Are Here is a HUB of RESOURCES for the military community and military supporters. Military support is not a concept to embrace; military support is sacrificial action. Visit our military support TOOLKIT.